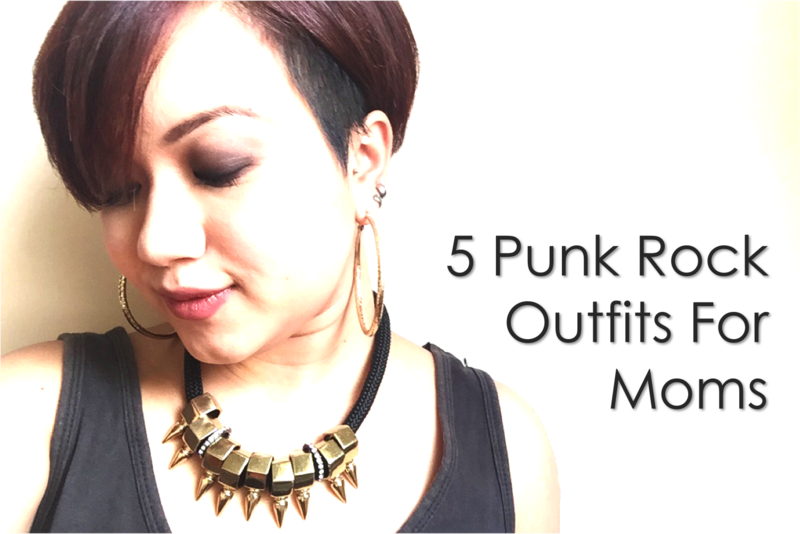 I am always re-inventing my own personal style, but no matter what phases I go through, I somehow always find my way back to my punk rock style. There are so many different names for it - edgy, grunge, hipster (?) - but punk rock has a fun ring to it. I have items that I've kept since my teenager that I use to this day, lol. An obvious style inspiration for this kind of look is Gwen Stefani. She's stayed true to this style through the decades, frequently evolving but always having a bit of edginess in her outfit no matter what...even when she's just out with her kids. When I go to events and meet other mamas, they're always saying the same thing: "I wish I could carry off this look, but it just doesn't suit me". Um...no. Anyone can rock this look, believe me! So, since Gwen and I have managed to keep with this style through motherhood, I've decided to share 5 different punk rock outfits for moms! These looks have a slightly anarchic vibe but are also practical, comfortable, and not too overwhelming to put together...excellent for my fellow busy mamas, am I right?? Also, believe me, you can find look-a-likes for all of these items at very affordable prices - my favorite places to shop are H&M, Cotton On, and Lovisa...and always in the sale section! 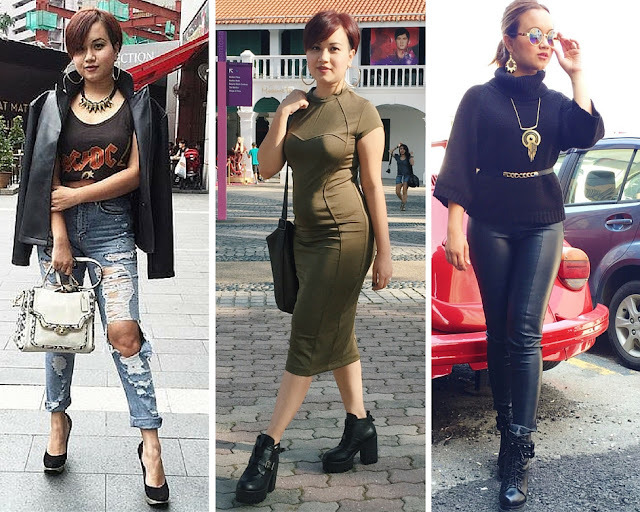 I do have some slightly more expensive pieces here and there, but 80% of my wardrobe are either bazaar finds or super cheap from those two stores. Alright, on to the fashion, dah-ling! The most important thing for pregnant mamas is: COMFORT. No leather pants and high heels for you! Key Items: Oversized band t-shirt, maternity skinny jeans, maxi skirt, Converse Chuck Taylors. The focus is on pairing modesty with a little bit of an edge. The overall silhouette is the key here - it's important to remain demure, so layer fitting items with some loose cardigans and jackets to keep things modest. 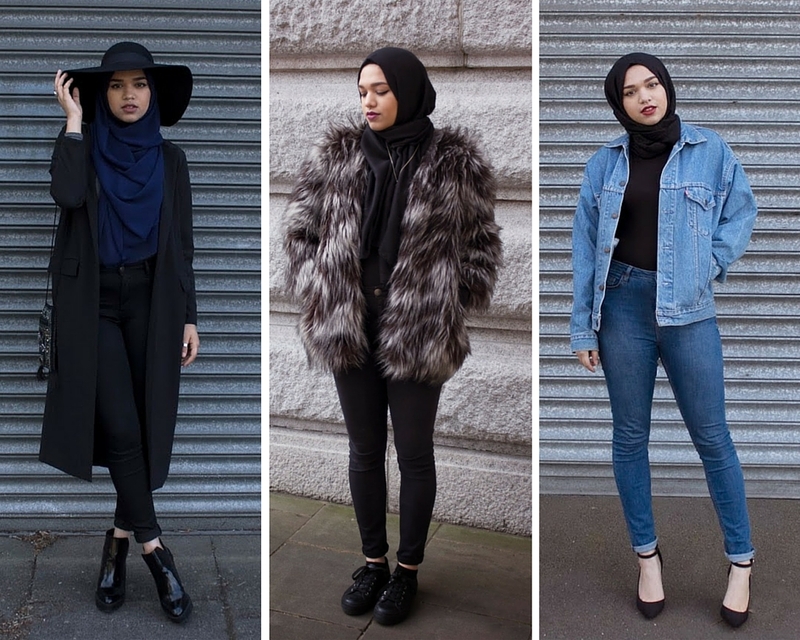 Key Items: Hijabs in dark hues, loose cardigans, oversized jackets. L-R: Cara Delevingne, Gwen Stefani, Abbey Dawn X Iron Fist Avril Lavigne MFP Tartan Plaid Booties. The classic pattern that screams punk rock. Get it in a classic red, or a different hue. Get a tartan skirt, or tartan pants, or even tartan print shoes - it'll immediately add an edge to any outfit. Key items: Tartan, tartan, tartan. 4. The "I Borrowed From My Husband"
L-R: Ashley Olsen (or maybe Mary Kate, I can't be sure! ); Luanna Perez from LE HAPPY; a catalog shot for Urban Outfitters. 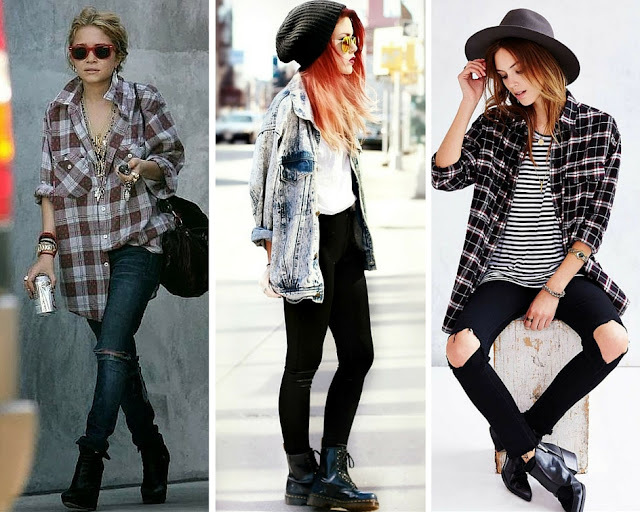 Key Items: Oversized shirts and jackets, and maybe even jeans if you can get away with it. Style Inspiration: Your hubby's wardrobe, haha! T-shirt (preferably a band t-shirt) + skinny jeans + boots + leather jacket/flannel shirt = DONE. cool outfit suggestions! Gwen Stefani is awesome! Major love. Never able to pull this off - as you have heard from many moms haha but now I'm gonna give it a try. Haha please give it a try and show meh! Cool! I kinda have this spot for simple but edgy but yeah as usual, never really pulled it off dengan berjaya haha. Really like Cara's style. And leather jackets too.